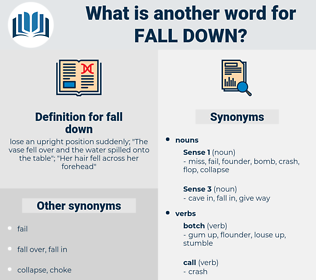 What is another word for fall down? lose an upright position suddenly; " The vase fell over and the water spilled onto the table"; " Her hair fell across her forehead"
achieve, accomplish, do well, succeed. 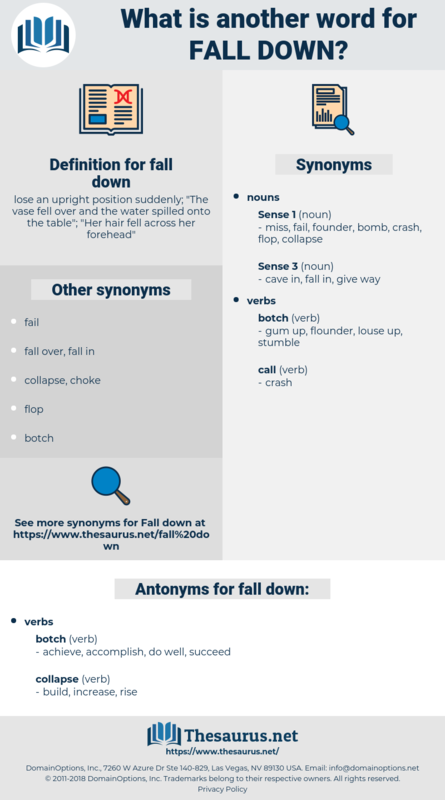 fellation, filiation, full-time, floatation, fulton, foliation, flatten, flotation, flood in, flodden, feldene.